On the morning of February 10th, Daniel Ramirez was sleeping on a couch in his father’s apartment in Des Moines, Washington, when three agents from Immigration and Customs Enforcement (ICE) walked through the front door. The agents had just arrested his father, who is undocumented, in the parking lot outside, and when they learned that Daniel and his older brother, Josue, were in the apartment they decided to investigate. An agent asked Daniel for his name, date of birth, and birthplace. He is twenty-four and was born in Mexico, but he grew up in California. Since 2014, he has been registered with the federal government under a policy called Deferred Action for Childhood Arrivals (DACA), an Obama-era measure that establishes “lawful presence” for undocumented immigrants who came to the United States as children. The program allows beneficiaries—some eight hundred thousand people nationwide, often referred to as Dreamers—to work legally, while also freeing them from the immediate threat of deportation. “I have a work permit. You cannot take me,” Daniel told the agent before he was handcuffed. 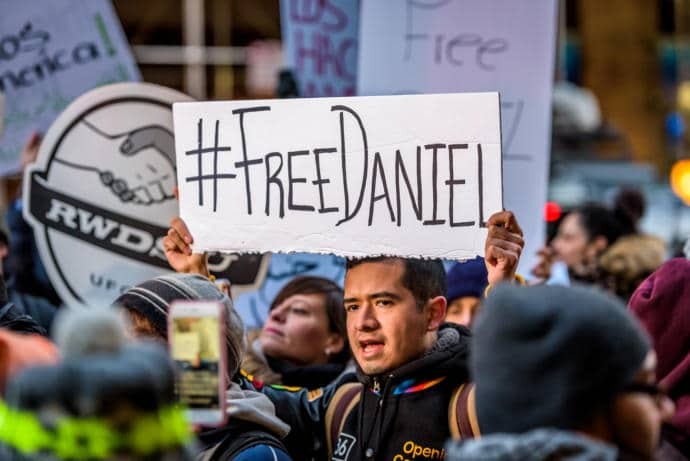 Daniel has been in federal detention since his arrest, and the Department of Homeland Security, which oversees ICE, has refused to release him. President Trump has called immigrants “criminals” and touted plans for mass deportations, but he has professed compassion for Dreamers. “We are going to deal with DACA with heart,” he said last month. “To me, it’s one of the most difficult subjects I have, because you have these incredible kids.” A few days later, when Homeland Security published a memo overhauling its immigration-enforcement policies, it undid every guideline from the previous Administration except DACA, which was kept intact. The case of Daniel Ramirez shows how DACA could be undercut without being officially eliminated. A team of lawyers has sued the government on Ramirez’s behalf, alleging that his due process was violated when he was arrested. The government has responded by aggressively defending Ramirez’s detention, insisting that Homeland Security can revoke the protections afforded by DACA without court review. “An individual with deferred action remains removable at any time, and DHS has the discretion to revoke deferred action unilaterally,” Justice Department lawyers argued in a recent motion to dismiss the case. Homeland Security had this power under President Obama, too, and exercised it against DACA recipients who were convicted of a crime or who were deemed a threat to public safety. “A DACA recipient had to do something to warrant their DACA getting stripped,” Felicia Escobar, a former special assistant to Obama on immigration policy, told me. Ramirez did not commit a crime, but the ICE agents who arrested him are claiming that he still constituted a threat to public safety. Ramirez and his lawyers insist that the agents have no actual evidence against him. Nevertheless, as soon as the accusation was made, Homeland Security “terminated” Ramirez’s DACA status and began the process of deporting him. “This is an important test case to push the premise of whether the new Administration can go after DACA kids or not,” Escobar said. Ramirez said that, after conducting these checks, the ICE agent who arrested him began pressing him. “The same officer with short hair who questioned me at the apartment continued to interrogate me,” Ramirez said in his declaration. “He searched me, removed my wallet from my shorts, and took out my identification and employment-authorization card, which shows I have DACA. . . . The officer then started asking if I was in a gang.” Homeland Security considers gang membership a public-safety threat, but Ramirez denied having anything to do with gangs. The officer persisted. “I think he asked me five to seven times,” Ramirez said. “Each time, I said, ‘No, I am not in a gang.’ ” At a certain point, a second agent joined in the interrogation. “They would not stop. It felt like forever. I felt an intense amount of pressure, like if I did not give them something, they would not stop.” Eventually, he told the agents that in high school, he had known kids who had belonged to a gang, and that he had “done nothing more than hang with a few” of them. “When I was in high school, I knew people that were in gangs, which is impossible not to if you come from my community and go to the public school,” he said. In the official reports that the agents filed in Ramirez’s case, they posited several theories about his supposed gang ties. Because he was from Fresno, California, one agent said that he likely belonged to the group known as the Bulldogs, and that he was also a member of a gang called the Sureños. The agents fixated on a tattoo Ramirez has on his left forearm, which reads “La Paz—BCS,” with the letters written around a blue nautical star. (The letters refer to where Ramirez was born: La Paz, the capital city of Baja California Sur.) The agents described it in their arrest report as a “gang affiliated tattoo.” In court filings, Ramirez’s lawyers have cited academic experts on California gangs to rebut these claims, and the government hasn’t pushed the argument further. (Homeland Security, through a spokesperson at the Department of Justice, declined to comment on the specific details of the case while it is pending in a federal court.) This weekend, I sent a photograph of the tattoo to Carlos García, a Mexican researcher who is one of the world’s leading authorities on gangs from California and Central America. “All the tattoo shows is where this young man is from,” he told me. “There isn’t even a name of the supposed gang on it. Any argument about gang ties based on this tattoo is weak at best; this tattoo does not show any gang affiliation.” García also pointed out that the Bulldogs and the Sureños are arch enemies. “It sounds like they’re accusing him of belonging to every possible gang,” he said. When Ramirez was being prepared for detention, agents asked him which gang he wanted to be grouped with inside the prison. Ramirez, who still insisted he had no gang ties, asked to be identified as “paisa” or “paisano,” a common reference to someone who is Mexican but unaffiliated with any gang. 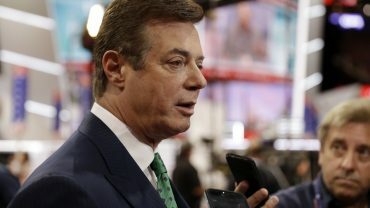 The agents appeared to take this as another admission, indicating in their report that Ramirez “claims past and present association with the Sureño and Paisano gangs.” They gave him a special orange jumpsuit to wear, which identified him as a higher security priority in detention. Ramirez filed a handwritten appeal contesting this designation, but part of his disavowal of gang membership appears to have been erased. (The government claims that the pen Ramirez used was low on ink and “did not write well.”) The agents who worked the case have also submitted two different versions of Ramirez’s arrest report, without explaining why certain portions of text were removed from the second document, including an explicit confirmation of Ramirez’s DACA status. Last month, Homeland Security came under mounting scrutiny by the press for its detention of Ramirez. On February 15th, the agency issued a public statement explaining Ramirez’s arrest, and identifying him as “an alien gang member.” Around that time, an ICE spokeswoman insisted that Ramirez was a “self-admitted gang member” who posed a “risk to public safety.” The government has since claimed to have more corroborating evidence of Ramirez’s gang ties, although to date none of that information has appeared in court filings. 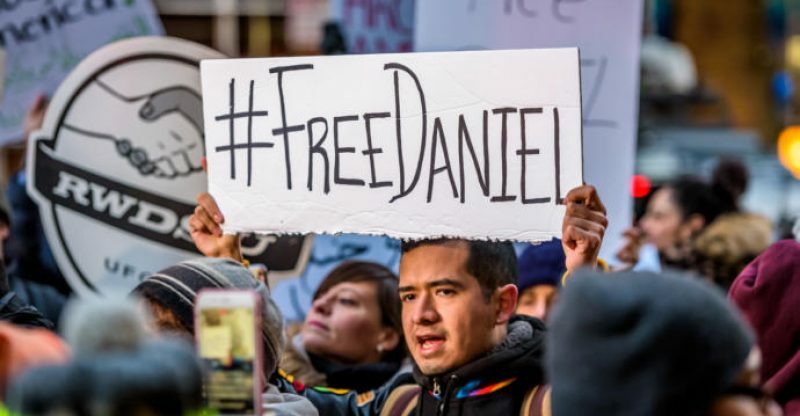 According to his lawyers, when Ramirez entered detention, the other inmates recognized him as “Daniel from the news” and asked him if he really was a gangster. While the Trump Administration may preserve DACA on paper, honoring the policy in practice would require being clear about who is and isn’t a priority for detention by immigration agents.